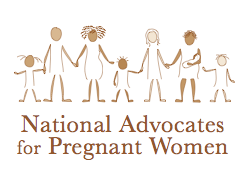 From National Advocates for Pregnant Women. Every Mother is a Working Mother signed the amicus brief. Please see below a press release about yesterday’s significant victory in the New York Appeals Court that affirmed the rights of pregnant women. Additionally, we hope you will read this important commentary published today on RH Reality Check, “Are Pregnant Women Persons After 20 Weeks’ Gestation?,” about 20-week abortion bans and the pending ballot measure vote in Albuquerque, New Mexico on Tuesday, November 19.